I agree with the second part, that it can mean the world to the person who receives it. However, I do not agree with the first part that a smile costs absolutely nothing. Maybe from a personal standpoint, yes, it costs us nothing to smile at one another. In a business sense, however, this is not the case. 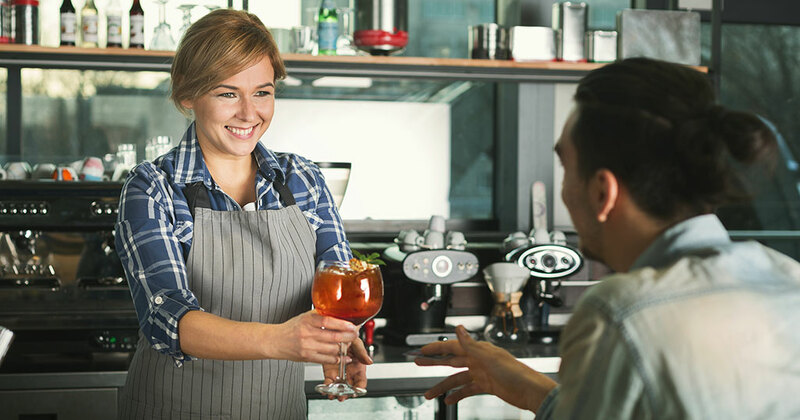 To get all your employees to consistently smile comes at a significant cost to both the business and its customers. The investment for the business is that it must recruit better, hire happier employees, and train more than everyone else. That investment means these businesses will have to charge more for their services and products. So in reality, the customers (gladly) pay more for smiling faces. Don't be mistaken, it is one of the greatest investments you can ever make. According to "The 2016 QSR Drive-Thru Study" (QSR magazine), of the 15 firms surveyed, Chick-fil-A was the most polite chain in the category. Employees at Chick-fil-A were the most likely of the chains surveyed to say "please" and "thank you," and to smile at customers. "We know our customers appreciate that we can be nice while being fast and accurate," says Mark Moraitakis, senior director of customer and market insights at Chick-fil-A. "Eye contact and smiling go a long way in the drive-thru experience." The reason behind the brand's success in being "nice" while still being "fast and accurate" is certainly not the pay. According to the job-finding and review site Glassdoor, Chick-fil-A doesn't pay much more than the industry average. So why is Chick-fil-A consistently the highest-rated chain in customer satisfaction? Because the restaurant chain invests more than other companies in training its employees and helping them advance their careers--regardless of whether those careers are in fast food. Does this obsession with the customer experience and fanatical attention to detail really pay off? Yes. The chain consistently ranks first in restaurant customer service surveys (Consumer Reports). In recent years, Chick-fil-A generated more revenue per restaurant than any other fast-food chain in the U.S. The numbers speak for themselves. The chain's average sales per restaurant reached nearly $4 million, compared with the average KFC, which sold $1 million. Customer service is the key to Chick-fil-A's success. Superior customer service drives higher sales per unit, contributing to the chain's ability to generate higher annual sales than KFC, Pizza Hut, and Domino's--even though each has more than twice as many U.S. locations and Chick-fil-A is famously closed on Sundays. Watch this 90-second video on why you should train your front-line employees to never point or say "No": https://www.youtube.com/watch?v=WysPQXkPOt8. Capital Ideas: How to Get Lenders to "Yes"